This program is underwritten by our member, Mary Beben. Thank you. Before birth the child lies sleeping, then later, dreaming in the womb; the divine journey of the evolution of consciousness begins. Upon awakening in the chaos at birth, a drama unfolds: the psyche begins to develop the capacity to try to organize these events into dynamic, meaningful patterns. This begins a mobilization of feelings that become focused on the dramatic split between the omnipotent child, who is at once the center of the world, and the vulnerable dependent child, frustrated by chaos, abandonment, and deprivation. This split causes an interruption in the flow of libidinal energy between inner and outer relationships and induces the first experiences of shame. The wounded child and the divine child exist in each cell of our body and in all psychic movement from birth to death. In this birthing of the alternation of these primal opposites, the life cycle of individuation is generated. But just as the suffering and shame is present in every cell of our body, so are the seeds of conscious understanding and liberation that link us to our paradisal origins. Jung wrote, “If you marry the ordered to the chaos you produce the divine child, the supreme meaning beyond meaning and meaninglessness.” In tonight’s program, we will examine how the onset of individuation motivates the resolution of this tug of war between omnipotence and vulnerability so that we can become the willing “servant” of our own divine child. Shame can then become a guiding light on the path to release us from captivity. Timothy Lyons, LCSW, is a Jungian-oriented psychotherapist in private practice for individuals, couples and families in Capitol Hill, D.C. and Takoma Park, Maryland. 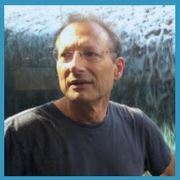 He has a certificate for post graduate studies from the Philadelphia Jung Institute and is a frequent presenter at the Jung Society of Washington. His post graduate studies also include infant observation and art therapy. Tim’s work is further influenced by studies in Tibetan Buddhism, Taoism, and yoga philosophies, having completed teacher training in Trul Khor (Tibetan yoga). His earlier career as architect and editor includes writing for the Washington Post, and lecturing at the Smithsonian Institution.